Edit videos before video DVD conversion. Watching videos and movies on TV is definitely a better experience as compared to watching them on a small laptop screen. So to play your favorite movies or other videos present on your computer to your DVD player, a DVD burner is needed. Moreover, DVD burning also leads to a physical collection of your videos in discs and creates some additional storage space on your PC. Considering all the above situations, it can be said that an importance of DVD burning software is manifold. There is no shortage of DVD converter programs, but you need to select the one that best matches your requirements. To help you with best software and process of how to burn a DVD, read below. 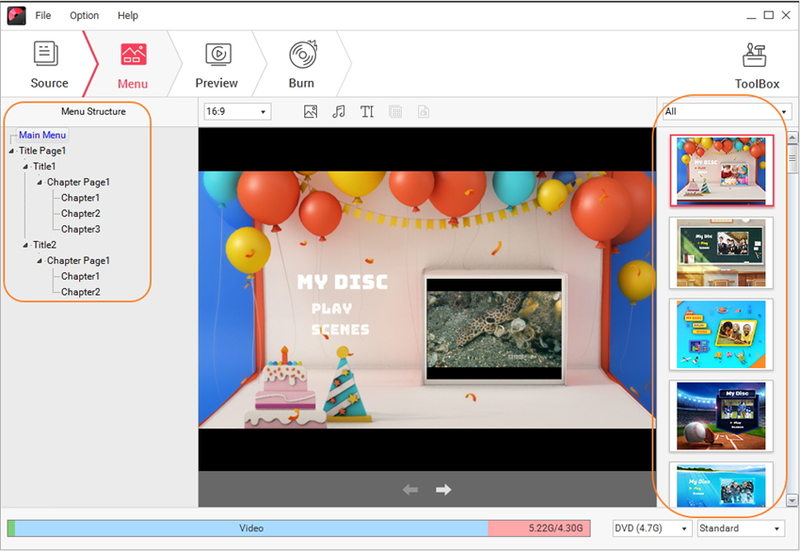 If you do not want to compromise on quality, speed, and features while your videos to a disc, Wondershare DVD Creator will prove to be best DVD burning software. This expert DVD software ensures that you are able to burn your videos and image files to DVD disc effortlessly and it works seamlessly on Windows as well as Mac system. Why choose Wondershare DVD Creator?
. Burn your video/image/audio files to DVD/Blu-ray Disc/Data Disc/ISO File. · Burn videos, photos, and audio in almost any format such as MP4/AVI/MOV/MKV/WMV/PNG/JPG/MP3 and others. 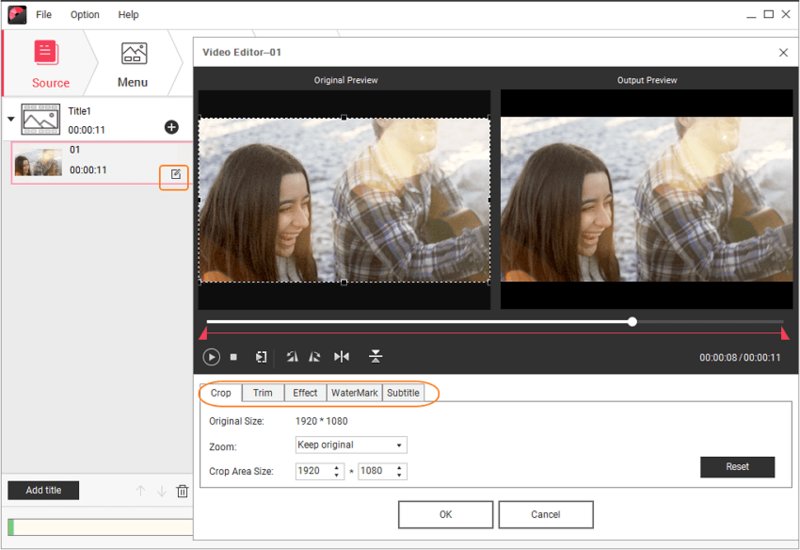 · Build-in editor to personalize videos by Trim, Crop, Add subtitles, Rotate, frame, etc. · Customize DVD menu with different parameters like text, background music, background picture, etc. · 100+ free DVD menu templates with different themes including Movie, Travel, Sports, etc. · Create DVD disc with real-time preview, super fast burning speed, and high-quality output. · Additional functions like Data Disc, ISO to DVD, One-click to Burn DVD, DVD Copy, DVD to Video, and others. · Supported OS: Windows 10/8/7/Vista/XP, Mac OS 10.14 (Mojave), 10.13 (High Sierra), 10.12, 10.11, 10.10, 10.9, 10.8, 10.7, 10.6. Step 1 Launch Wondershare DVD Creator and choose the option to create a disc. 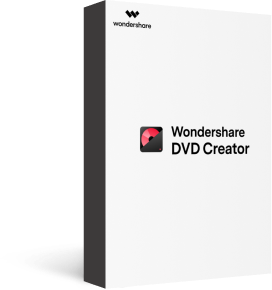 After successful installation of Wondershare DVD Creator, open it on your PC. From given options on the software, select Create a DVD Video Disc. Step 2 Import media files to DVD creator and edit them if you need. Click " + " icon under the Source tab to open the file browser. Select video files present on your PC and click OK to add. You can also drag and drop the files to the interface. The added files appear as thumbnails on the left side of the pane. For editing, select the desired video and click the pencil-like icon on the thumbnail. A new Video Editor window will open. Select one of the options from Crop, Trim, Watermark or Subtitle. Make needed changes and click OK to confirm. Step 3 Select DVD template on DVD writer software. Select the Menu tab, and the template designs are shown on the right panel of the software interface. Select from the available designs or download more by clicking the download icon. To customize the selected template, click the relevant icon on the top of the screen. Step 4 Preview and burn on DVD authoring software. Choose the Preview tab from the top bar and check the created disc. Here you can go back to Source tab or Menu tab to make changes if needed. Next, choose the Burn tab. A Settings window will open from where select the Burn to disc option. Give disc label, select TV standard and other applicable parameters. Hit the Burn button to start burning DVD. The entire process using Wondershare DVD Creator disk burner is not only simple but also quick and of high quality. The professional paid software comes loaded with all high-end disc burning features, but if you are looking for pocket-friendly tools, there is myriad of options as well. There are plenty of free DVD burning program available with decent DVD burning features. To know more about these freeware, we have picked top 5 DVD burners. This is a popularly used DVD program that facilitates burning video files to discs. It supports all major video formats like MOV, VOB, MKV, MP4, FLV, and others. The software supports Windows 10/8.1/8/7 and lower OS versions. Create professional looking DVDs with personalized template menu, subtitle, and other options. Using WinX DVD Author, you can also set aspect ratio and select from PAL or NTSC DVD. There is also an option to download videos from YouTube. Trimming and other basic editing functions are also supported. With no watermark, fast burning speed, and decent quality, WinX DVD Author is one of the best DVD burner when it comes to freeware. This is another easy DVD creator that is free to use. 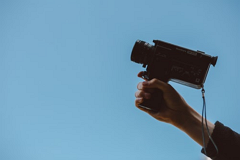 This open source software works on Linux, Mac, Windows, and other OS and supports all major video and image formats for creation of video DVDs and photo slideshow. The program has a number of templates with interactive menus to choose from. You can also design your own template or select from the given ones. There is also an option for DVD customization with features like adding image file for the background, place buttons, text, and other objects on the menu screen. With the support of multi-core processor, the DVD burning speed is fast. With the user-friendly interface, the program is an apt choice for the first time users as well as experts. This is free to use DVD converter software that allows burning audio, data and video files to CD, DVD, as well as Blu-ray discs. This is a simple to use program with an intuitive interface having all basic needed features. There are guided file backup options which makes the process easy for the first time users and also an advantage as compared to other similar programs. 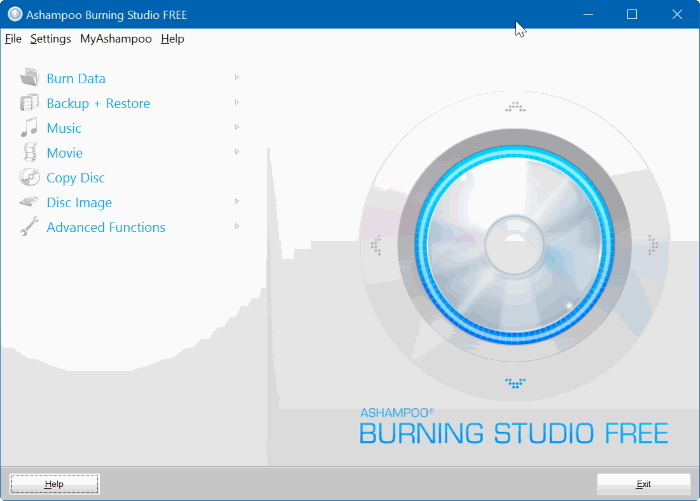 Though Ashampoo Burning Studio Free is a freeware, you need to provide your email address to get a license key. Supported OS includes Windows 10/8.1/8/7. This is a straightforward DVD converter software with Windows 10 support and just apt for the beginners and pro alike. 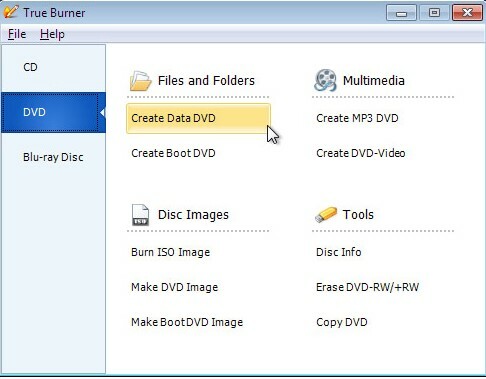 Using BurnAware you can create CDs, DVDs as well as all types of Blu-ray discs including M-Disc from your media files. If needed you can also copy and burn disc images of your files. It is full-featured software with options to control boot settings, ISO levels, UDF partition and versions, disc spanning, data recovering, and others. Erasing data, verification, erasing, data recovery, and audio track extraction are some additional functions. This is another powerful open source DVD burner that supports a wide range of image, audio, and video file formats. You can build DVD video discs, HD discs, as well as Blu-ray discs using the program. Even if you are using international character set, there will not be any problem as Unicode folder and file names are supported. The software supports all Windows OS and can also run on Linux and other X86 based Unixes if Wine is used. All latest drives without any need for updates are supported by the software. 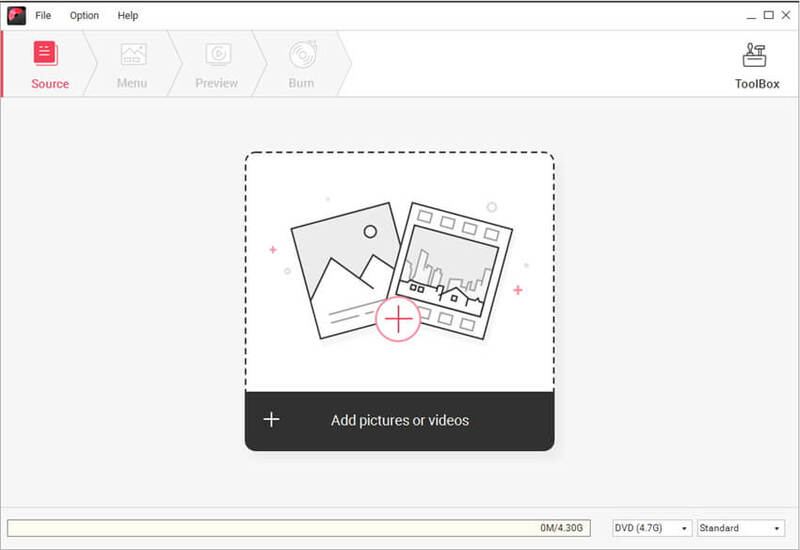 Some advanced features of ImgBurn include image queue system, layer break selection, Automatic Write speed, and others. If you want to check out a few more DVD converters, apart from the above listed, we suggest checking the following. Another decent DVD video creator is StarBurn that supports a range of burning hardware and all types of optical storage media including DVD and Blu-ray. The Quick Start Wizard of the program helps in dealing with frequent operations like copying, grabbing, and others. It is free to use software that supports almost all Windows OS. There is an audio content processing support and using the software, audio streams can be processed on the fly. There are dedicated tools for grabbing audio files and creating a disc image. If needed, you can also erase data from the disc using the program. 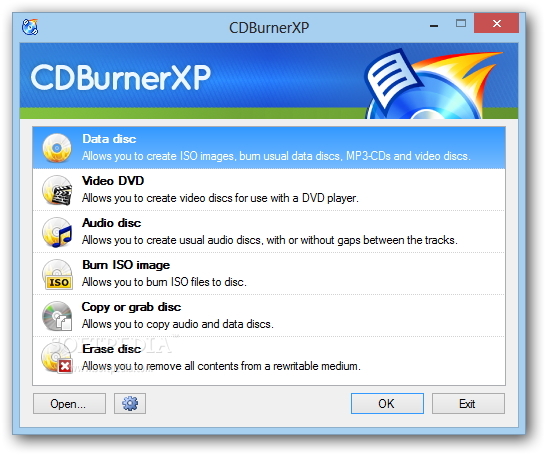 Another commonly used DVD video burning software is CDBurner XP that supports burning your files to CDs, DVDs, HD-DVDs, and Blu-ray discs. It is a freeware that can create ISO files if needed and bootable discs as well. Once the burning process is complete there is a feature of data verification. The multi-language interface improves the utility of the software among people of all regions. There is also an option to create audio CDs with or without gaps in the tracks. CDBurner XP is free from adware and other malicious elements. If you are looking for a simple and a straight DVD burning tool then InfraRecorder is an apt choice. It can also be termed as dual layer DVD burner as dual layer discs are also supported. Using the program you can work with data, audio files as well as virtual images. This free software is released under the terms of General Public License 3. Using the software you can import session data from multi-session discs and can then even add more sessions to the same. The interface is simple to understand and comes with all needed functions. One name that simply cannot be ignored when it comes to video burning software is DVDFlick. It is one of the most commonly used tools for Windows system which is simple yet powerful and allows burning any type of video file to a DVD. The software supports more than 45 file formats, 60 video codecs, and more than 40 audio codecs. You can add a menu to the disc and also your own subtitles if needed. Not only DVD disc, ISO image files can also be created for future disc burning. You can burn your project to the disc after the encoding. Another name in the list of recommended data DVD burner is True Burner. This is also a free to use program that supports Windows 10 and Windows 7. 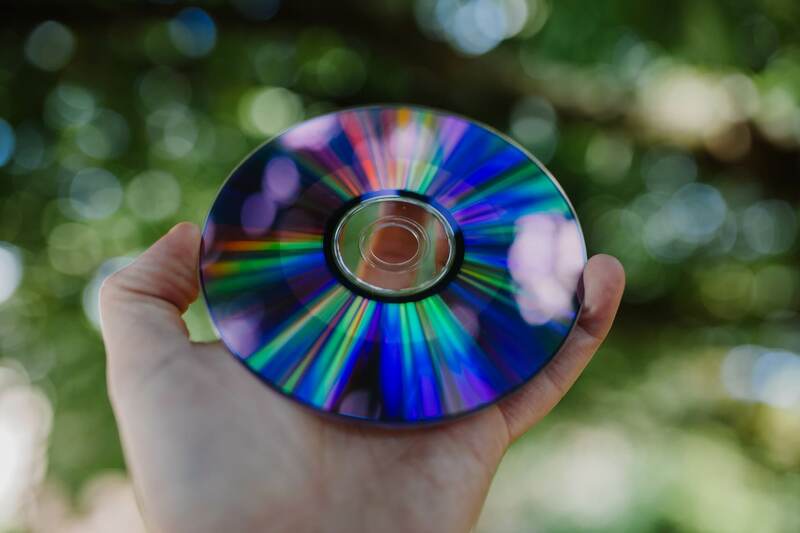 You can create CDs, DVDs, as well as Blu-ray discs using the software. It supports writing multi-session discs and also facilitates creating bootable discs. All major types of file formats and types are supported by True Burner. 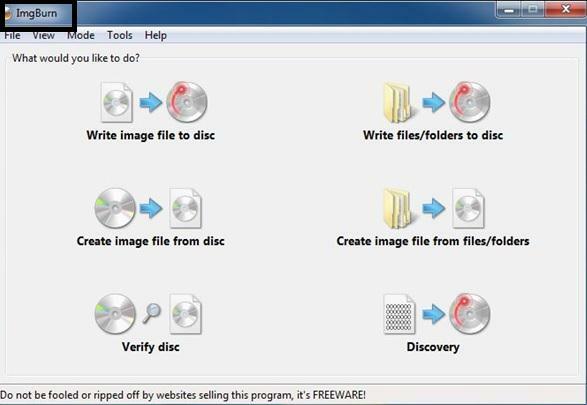 If you do not have access to blank disc or want to burn your files to physical disc later, there is also an option to burn files to ISO image. Above listed are some of the top DVD burning software with the different set of features and functions. Open source and free software are decent to use, but if you want to settle for nothing less than professional disc, Wondershare DVD Creator is the best choice. Download and have a free try now.